Our first author utilizes a contrast between the Great God Pan and the Greek Elysium in a creative allegory to speculate on the rebirth of the candidate during the four Capitular degrees of Freemasonry. He explores the marriage of the intellectual and spiritual fire, as well as the egg as a symbol of fertility and its relationship to the new Mason. Brother Darlington wraps up his esoteric analysis by examining how the Christian resurrection may be seen in the initiations of Royal Arch Masonry. 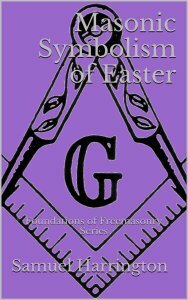 Our second author continues where our first left off, moving beyond York Rite masonry into that of the Scottish Rite. Through an exploration of verse from around the globe, the author aims to demonstrate the universality and timelessness of the resurrection myth and how it ties into the many Masonic initiations, with particular attention being paid to the Egyptian and Greek mysteries. And, as the true heirs of this ancient wisdom, we are left to ask ourselves: what is the obligation of Freemasonry to the world today, in helping to shape the future for all of humanity?